Sir Lenny Henry has said he wants BBC series The Long Song to create a national conversation about the UK’s involvement in the slave trade. The British comedian, 60, said the tale of a woman enslaved under British rule in 19th century Jamaica had renewed relevance in today’s political climate. He said: “When you make something you want it to be part of the national conversation and I think this will evoke a conversation about the past. “We’re in a place where racism is on the agenda – Black Lives Matter, and also this idea of knowing (that) if you don’t know what happened, you’re not going to know what’s happening. 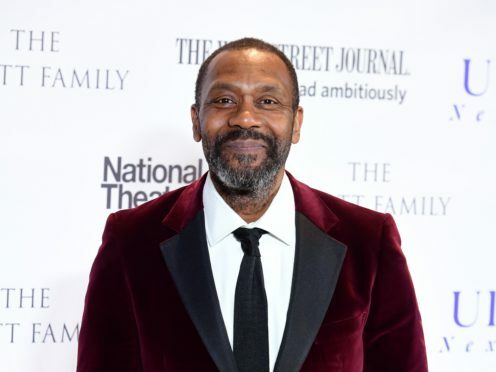 Sir Lenny, who stars as Godfrey in the BBC One series, said he wanted the adaptation to become the British equivalent to American miniseries Roots. That 1977 book adaptation followed the family of Kunta Kinte, a Mandinka warrior enslaved and sold to a plantation in the southern United States. Set during the final days of slavery, The Long Song follows strong-willed young slave July, played by Tamara Lawrance, and was adapted by Sarah Williams from Andrea Levy’s book. Sir Lenny said it was important the British public learnt about their country’s role in the slave trade, adding that the UK’s full involvement had been omitted from schools. He said: “I wanted to be part of this story because the retelling of the story of slavery and the British empire’s involvement is something that needs to be known because this is stuff we didn’t learn at school. The series also features EastEnders actress Dona Croll, The Boy With The Topknot star Sharon Duncan-Brewster and Chewing Gum’s Ayesha Antoine. The Long Song will air on BBC One on December 18.